Alec Baldwin to Use MSNBC Gig to Launch Political Career? 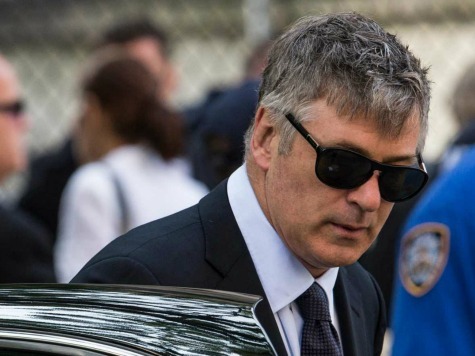 Variety Editor in Chief Andrew Wallenstein speculates that the new MSNBC show, Up Late with Alec Baldwin, may be the actor’s way of establishing himself for a future political run. Baldwin has offered the idea before; his most recent gesture in that direction came in January 2012 when he spoke with Piers Morgan about a possible run on CNN. Baldwin’s new show premieres at 10 p.m. EST tonight, Oct. 11 Wallenstein notes the traditional method of starting with a TV opportunity and launching a political candidacy from there with examples such as Pat Buchanan and Eliot Spitzer. Wallenstein lists the most recent egregious examples of Baldwin’s insane temper, such as tweeting nastily at fellow MSNBC hack Joe Scarborough, then deleting them and hurling homophobic insults at British reporter George Stark for suggesting Baldwin’s wife was tweeting at the funeral of James Gandolfini.